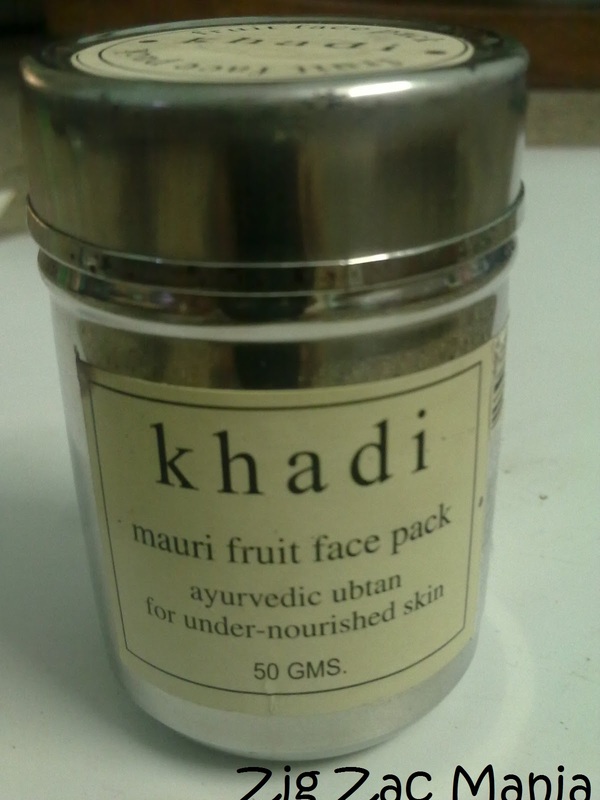 Today I am going to review Khadi Mauri Fruit Face Pack. 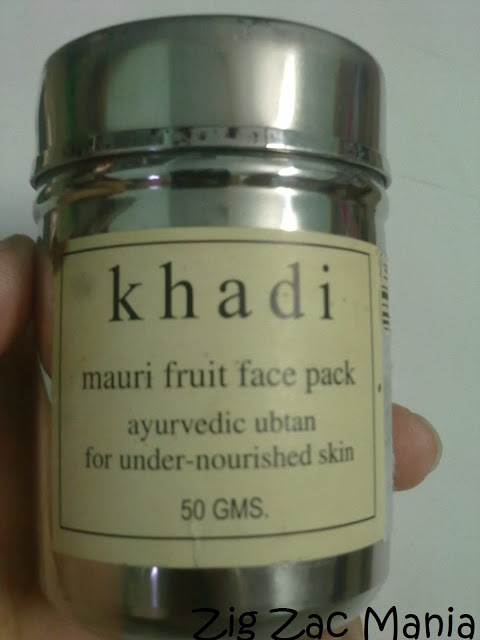 I bought this face pack from the Khadi shop, located in the market of Kasauli. This shop draws attention of lots of customers and they also have huge stock of goods. I also some bought some product from there, which I will review later on. · Appropriate for all skin types. 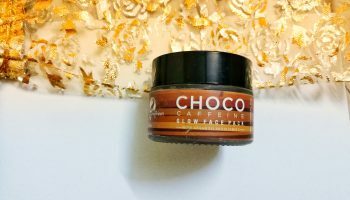 · Helps skin breathe and rejuvenates it. · An enriching pack to cleanse the skin and help to preserve moisture content. 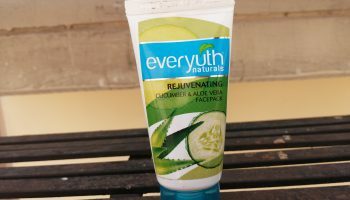 · Removes dead skin, grime, underlying dirt, open pores. · Controls acne, pimples, removes blemishes and scars from skin. 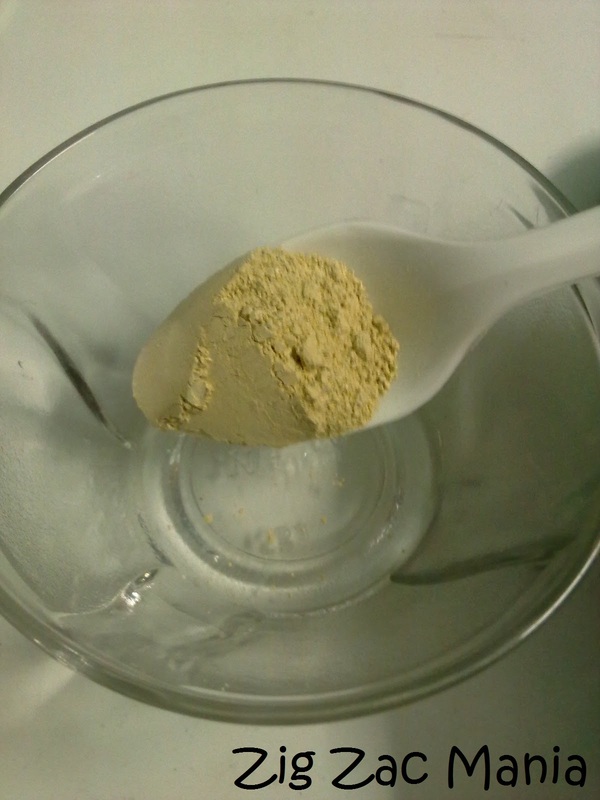 · Boosts the skin’s vitality and helps to prevent minor skin problems. · Fights aging, reduces sign of aging, improves circulation and creates dramatic changes after use. Ingredients: Each 100gms contains papita 2g, narangi 3g, aam seed 1gm, strawberry.25g, kheera .25g, horse tail .1g, nimbu .1g, chai vriksha .1g, besan 5g, tuls salva .2g, kaolin 60g, bentonite 10g, jai seed 2g, pudina .3g, multani mitti q.s. to 100g. Online availability: Ebay, Amazon, Flipkart etc. Direction of use: Mix 2 tablespoon of the powder with water/ milk/ rose water to produce a smooth paste. Apply the paste on the face and allow it to dry and then rinse off with fresh water. 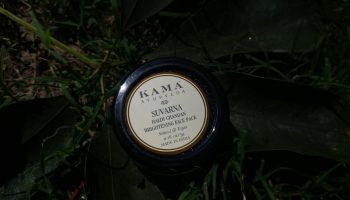 Packaging: This face pack comes in a tiny silver colored tin container. 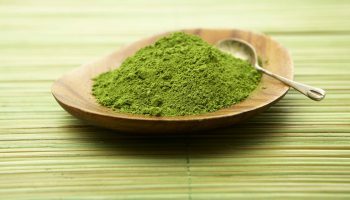 It contains various information like ingredients, usage and effects as well. The lid is secure and this would be travel-safe as well. My opinion about product: The pack is in powder form and yellowish in color. It has a distinct sandalwood smell. You will have to make it into a paste before application. You can use water or curd or rose water or milk to make the paste. While applying the paste it gives a cooling sensation, it’s a good thing in summers but in winter it’s not. But as time passes and the pack dries and your face becomes stiff. I really can’t give any sort of expressions during that time. It does take a time of around 30 minutes to dry completely. I hate seeing myself in the mirror during that 30 minutes. Most of the time I become fed up and wash it off with luke warm water. After washing off the pack I do always follow up with a moisturizer. After washing off I find my skin a lot fairer and fresh. My skin looks happy ( really I feel so). I apply this pack at least once a week. 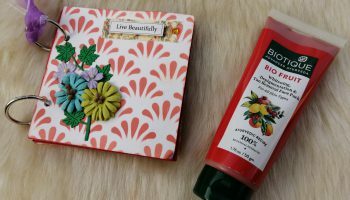 Oh one thing I would like to mention here that the pack comes in a steel cylindrical container and I had a real tough time opening the cap of the container. But lastly I want to say that I totally love this face pack. 2. 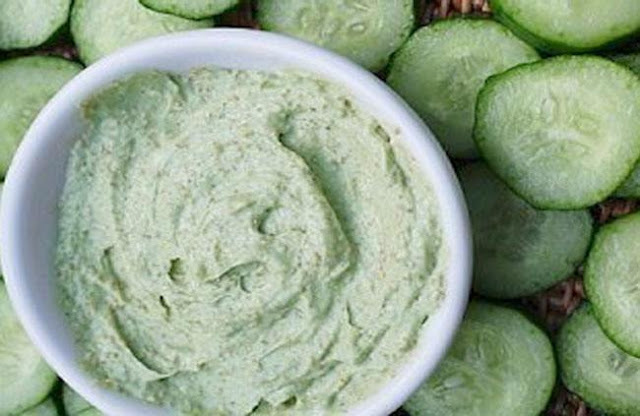 Gives skin an instant and healthy glow. 4. Easily available in local as well as in online market. 5. Makes skin squeaky clean. 6. 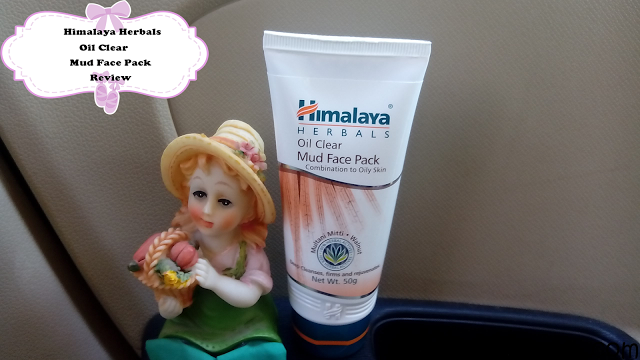 Helps in controlling pimples. 1. Packaging is pretty old fashioned. 2. Face becomes too stiff. 3. The fragrance is too strong. May effect people with sensitive nose. Seems to be good one with natural ingredients. Wow seems a great brightening mask!!! Give it a try, I am sure it will not disappoint you..